Some fairies believe that dusting their bodies with powdered foxglove will make them unpalatable to the Fairy Hunter. While this is, tragically, an old wives' tale, the substance will give their predator a nasty case of indigestion. Mythobiologists call it "Tinkerbell's Revenge." 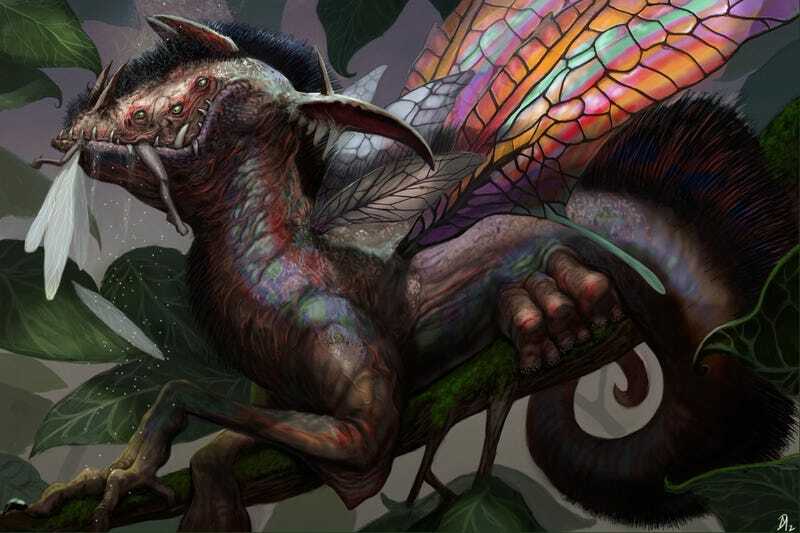 One of the numerous brilliantly colored fantasy creatures dreamed up by Dave Melvin.